Hakki Pilke firewood processors are renowned for their usability and reliability. Each machine is a compact powerhouse that combines Finnish engineering with industrial design. User needs, product quality, high productivity and low operating costs are at the heart of our design process. As a result of our customer-oriented, continuous and systematic quality development, our company has received the ISO 9001 quality certification. Fast set-up, easy adjustments and smooth material flow guarantees uninterrupted operation and the most effective wood processing in the market. Ease of and minimal need for maintenance means less downtime and more firewood processing. 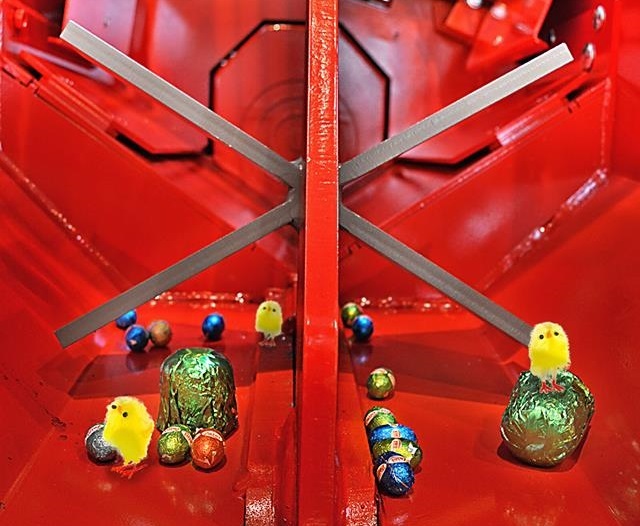 During the Easter holidays our factory and customer service is closed from 19-22 April. After Easter we are open normally starting from April 23rd. Wishes you all a Happy Easter! Now all downloadable documents available in one convenient place! Experience the performance of the next generation of Pro Series. 43 Pro is innovative, powerful and packed with many new trailblazing features such as AC10 automatic chain tensioner and HakkiCutTM cutting control. Hakki Pilke firewood processors are built in Haapajärvi, Finland with over 30 years’ experience. Every year thousands of machines are shipped to 6 continents and over 35 countries!